To begin with a stereotactic frame is attached to the patient’s head using local anaesthesia at the pin insertion site. This works as a reference for all scans (CT, MRI, PET) which are used for target localization. This system allows computerized planning of the surgical approach with sub-millimeter precision. A CT/MRI scan is then performed to obtain the co-ordinates. In the operating room, the patient’s head is rested on a clamp system in a comfortable position. A small linear incision is made on the scalp and a small hole is drilled into the skull. 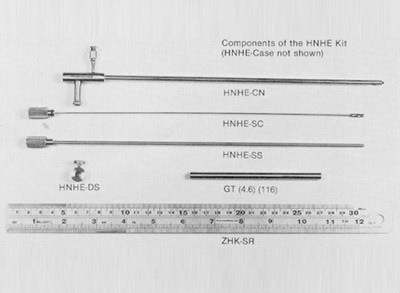 An aspirating needle is placed into the middle of the haemorrhagic cavity, using the coordinates obtained by the computer workstation.Archimedes screw aspirator aids in the break-up of blood clot and evacuation of ICH. 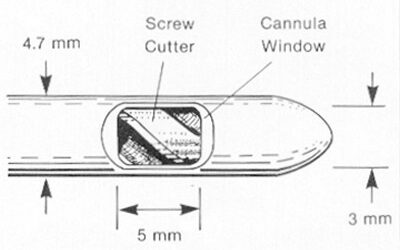 After the evacuation of the ICH clot, a drain placed directly into the cavity which in turn encourages further drainage. An aspirating needle is placed into the middle of the haemorrhagic cavity, using the coordinates obtained by the computer workstation. Archimedes screw aspirator aids in the break-up of blood clot and evacuation of ICH. 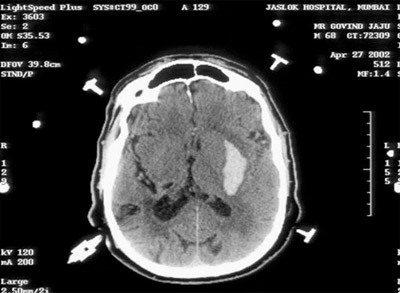 If a CT scan of the patient’s head still shows residual clot, injection of a thrombolytic agent is done. Urokinase, 10,000 i.u. per instillation/12 hourly aspiration. It can provide additional evacuation of the clot. CT scan after every alternate aspiration. End point of aspiration: when the clot is <15ml. The drain is then removed.